Yes, I'm serious about that last one. I have no special affinity to the UK, unless you count Earl Grey tea and Masterpiece Classic series. 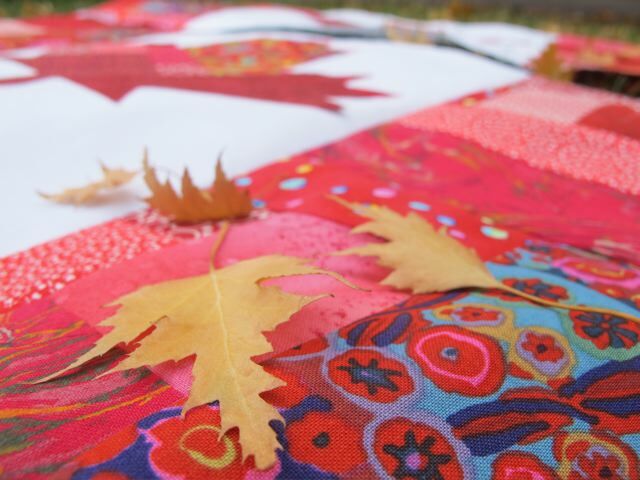 But Amy's quilt made me think about whether a Maple Leaf quilt could be made just as cool. She had confidence in me to do it and this weekend I finally tried. I wanted to adapt our national flag into quilt form. The red portions are all pieced slabs - a technique we describe in Sunday Morning Quilts. The proportions are that of the real flag. And I eyeballed the actual leaf based on the original. Using fusible I cut the leaf out from a slab then fused it to a white background. There are more blocks to be made, possibly in other colours. Let's see where this goes! Cool? Not sure about that, but I do think it is pretty neat. I'm getting a little teary-eyed and patriotic. I love them!! I've been so excited to see your version of the Maple Leaf. You did not disappoint! Love it! If you do opt to add other colours...maybe some turquoise-blue to represent "from sea to sea to sea"? Can't wait to see this come together. Oh Cheryl, your blocks are absolutely fantastic! Yes, please keep going, work out all the kinks, and then have a QAL! LOL! "our true north strong and free" lovely blocks...can't wait to see it all!! We totally have the best flag - I love your version, Cheryl! I am not Canadian. but I love the blocks. I think you should do just variations of reds. That would require a big stash or a call to people with reds in their stash to support it. I was going to volunteer, but unless you want santas, peppermint candy or wreaths on your flag, I am not able to contribute. Can you put up your template for the leaf??? I have been googling like nobody's business, because I want to make something similar for a friend who has recently moved to Canada. I want to do alternating maple leaves and southern cross/aussie flags. I don't know if this will work, but the maple leaf is the hard part. Yes, the proportions on the Leaf are fantastic. I too lost a Very. Southern. Girlfriend. to the north country above Ottawa some years ago and would love to do a small lap quilt with your inimitable Maple Leaf. 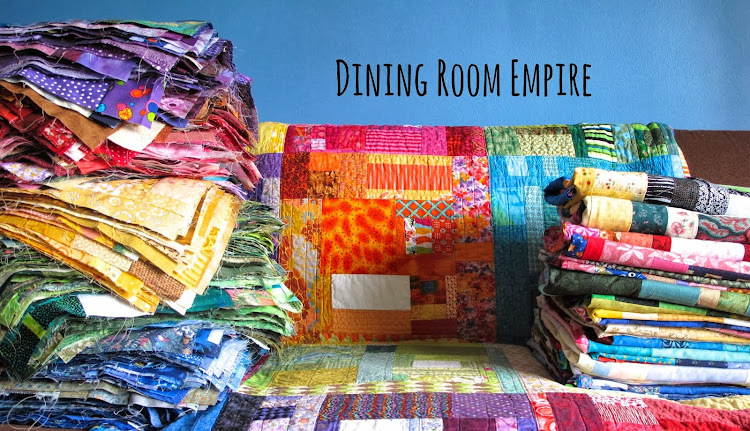 Your fabric choices in the red palette rock the casbah !~! I have friends who would LOVE this. They look really great. Fantastic block! I love how you used the slab for the leaf too. Absolutely beautiful. 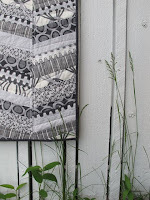 Seriously one of my top favorite quilt blocks I've seen this year. 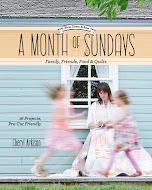 Makes me want to run into the sewing room and make one right now! Few tears here too. I have been thinking of how to do what you just brilliantly managed for some time now. I however never get off my arse and actually commit to do something. I am in love Cheryl . A template for the maple leaf? Some dimensions for the flag. You got it all going' on girl. Thanks for sharing. Oh wow! Those make me all twitchy to make my own...but I won't...so I shall just admire yours. Yes cool! Yes neat! More reds, and maybe pinks? I'd say go really hot, hot, hot! so lovely!! I want to make one too now! Cheryl, they are perfect! 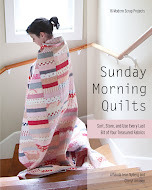 I just love them and would love to have a pattern...someone suggested a QAL...I would do that, but not till after Christmas...please, please, please. 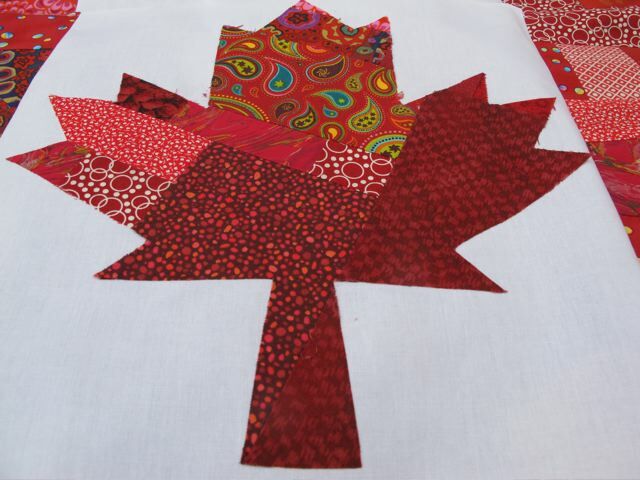 I have always wanted to make Canadian Flag Quilt; I saw Val Smith's in a quilt show and it was done in different colours. You can see it on this blog post but just have to scroll down a bit. I absolutely love this! I made a Union Jack pillow to commemorate the Olympics, but my Canadian heart wants one of these so badly. Add me to your list of people who would love to see this design/template! I would love to see a whole quilt of Canadian Flag Squares ... in a mix of colours kind of like I've seen a lot of the Union Jack quilts. Show me, okay? Yeah, what a great tribute to the Canadian Flag, I love the design. 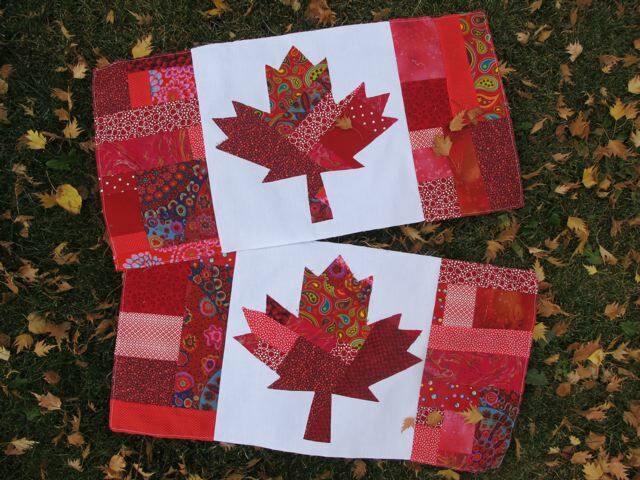 It's so nice to see a Canadian Flag on pinterest!. I've marked your book for purchasing, and can't wait to creating.